Goodbye, Menlo Park, hellooooo, Oakland and Cornerstone in Sonoma! Goodbye, Menlo Park, hellooooo, Oakland and Cornerstone in Sonoma! The venerable publication is on the move. MAGAZINE ON THE MOVE: There are many natural phenomena we earth residents can pretty much count on, but one of the biggest, and least debatable, is where the sun sets. It's the west, no "spoiler alert" required, and as long as this ol' planet stays on its axis, and our nearest star keeps doing its whole bright thing, we're good in that department. But while a sunset won't ever notably move, say, to the north, Sunset will, and shall, very soon. What has been a hot topic -- perhaps not as hot as the sun, but still plenty speculated about -- has now come to its reveal, at last: Sunset magazine, the venerable publication that has famously made a home in Menlo Park for decades, has a new address in Jack London Square in Oakland, with additional interests, like a garden and test kitchen, at Cornerstone in Sonoma. 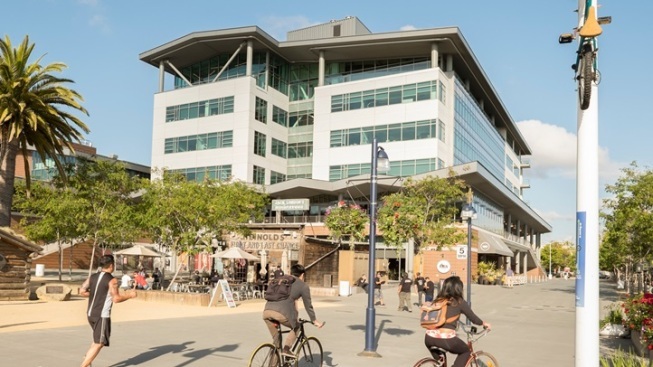 CELEBRATION WEEKEND BUZZ: This pack-up-and-head-for-Oakland push follows the sale of the publication's much-photographed and iconic property, a spread that will see the annual, thousands-go Celebration Weekend festival over the first weekend in June. The last Menlo Park party still afoot, with demos and plants and Western living ideas ready to flourish, but we can only imagine the buzz won't just be emanating from any bees in the impressive Sunset gardens. Attendees will surely be discussing this big announcement and the move to come, and how future Celebration Weekends will unfurl. 55 HARRISON STREET... is the new HQ for Sunset, which is indeed in the same building as the Water Street Market, the artisan food go-to in the square. As for its Cornerstone presence, in Sonoma? The test kitchen and outdoor garden will flower there, as well as "on-site programming." The official move comes at the end of the year, so, yes, fans can say, in this instance, that sometimes a Sunset can happen in multiple spots, physics and rules notwithstanding. The magazine was in Menlo Park for 64 years; will it see the same amount of time, plus, in Jack London Square? We're raising an organic Clementine mimosa made with California sparkling wine, the kind of sip found within Sunset's pages, to its continued longevity.